Importer Ed Addiss, owner of Wine Traditions, was joined by Dominique Resses from Cahors at a wine tasting on April 17 at Rick’s Wine and Gourmet in Alexandria, Virginia. 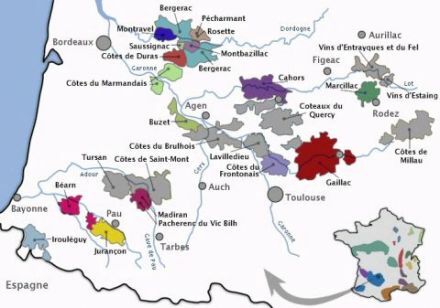 The South West is a wine region in France covering several wine-producing areas situated respectively inland from, and south of, the wine region of Bordeaux. These areas, which have a total of 16,000 hectares of vineyards, consist of several discontinuous wine islands. The brandy-producing region Armagnac is situated within the Gascony, one of the wine islands. Even though Cabernet Sauvignon and Sauvignon Blanc are grown in certain parts, the South West remains first and foremost a veritable mosaic of ancient grape varieties, unique to the region, including the red grape varieties Négrette, Duras, Tannat (now also the signature grape of Uruguy), Malbec (now also the signature grape of Argentina) and the white grape varities Colombard (at some point very popular in the US), Mauzac, Manseng, Courbu and Baroque. The South West of France is also known for a its delicious regional cuisine: Foie gras, Jambon de Bayonne and Cassoulet, to name a few. Cahors wines have a long history. The wine industry was developed by the Romans, who planted vines in Cahors even before they got to Bordeaux. The “ black wine” of Cahors reached its heyday in the Middle Ages, when they were on the table at the marriage of Eleanor of Aquitaine with Henry II of England in 1152. But Bordelais winemakers saw the Cahors wines as a competitor to their own wines and introduced taxes and levies that hindered Cahors’ export out of Bordeaux, and, in turn, its reputation. In addition, in the late-19th century, phylloxera nearly destroyed the wine business in Cahors. The vines recovered eventually. Things looked pretty bleak until 1971, when Cahors achieved AOC status. Cahors is the birthplace of Malbec. Yet, in America, if you know Malbec, it is probably because of its transfer to Argentina in the late 19th century. Argentinian Malbec is very popular in the US now and Cahors tries to piggyback on the popularity of Argentine Malbec in the U.S. The Cahors region is waving its flag and reminding people that Malbec came from somewhere else before it hit Argentina, and that Cahors would like some attention. Some producers, including Dominique Resses, are even starting to put the word "Malbec" on their labels. This estate has been around since well before the French Revolution, resting in the hands first of the clergy and then, since 1895, in the hands of the Resses family. The Resses family, with others, has been instrumental since the 1950s in the rebirth of Cahors as a major wine-producing region. Tasting notes: Medium garnet in the glass, smoked meats coupled with cassis and black cherry on the nose, a medium-bodied wine, in the mouth the wine has a supple leathery quality, with some stony minerality that gives way to more cassis and black cherry notes with a dusty finish. 97% Malbec and 3% Tannat; leafs are thinned and yield is limited to a maximum of 40 hectolitres per hectare; and grapes are 100% destalked and sorted fallowed by a long maceration and maturation in oak barrels of which 50% are new each year. Tasting notes: dark red in the glass, hints of stones and smoke with black cherries and cassis on the nose, a full-bodied wine, with nuances of damp earth, black currant, smoke and licorice on the palate,”La Commandery” is a textbook Cahors. Falstaff is the leading Austrian wine journal that has announced ambitions to become the leading German speaking wine journal. Falstaff has now published a list of its top wine makers of white wine in Germany and its top German white wines. The lists do not include noble-sweet wines and producers of noble-sweet wines, Germany's flagship wines. The lists were put together by Joel B. Payne und Carsten Henn. The former is the editor of the Gault Millau Wine Guide Deutschland. So no wonder that the Falstaff ratings do not substantially differ from the Gault Millau ratings. Here are the ratings. Tim Froehlich from the Nahe region. In the category of fruity Riesling Spätlese wines, his wine is the best. Not only for this wine, his winery Weingut Schaefer-Froehlich was selected winery of the year. J.J. Pruem for his perfect Kabinett wine. The Kabinett wine of the year - with a classic acidity-sweetness play - comes from the legendary J.J. Prüm winery, which is known for spicy aromas due to spontaneous fermentation and for the aging potential of its wines. The wonderfully fruity Riesling from the Wehlener Sonnenuhr is refreshing and entertaining, without being superficial. Markus Molitor, because he has the best portfolio of the year: Markus Molitor from the Mosel valley produced the portfolio of the year; his extremely late harvesting of the fruit played a crucial role. Van Volxem for a brilliant series of fine Riesling wines. Roman Niewodniczanski, owner of the winery Van Volxem (Saar), presented a brilliant series of fine Riesling wines. His top wines of Alten Reben from the Altenberg and the Gottesfuß vineyards came out on top of the list of the best “feinherb” wines. Two more of his wines were among the first 13 wines in this category. What Molitor and Van Volxem have in common, is that they do not aspire to the classic Mosel Riesling crisp acidity, but instead to high maturity and silky minerality. Buerklin Wolf: Among the leading producers in the Pfalz region, Buerklin-Wolf - owned by Bettina Bürklin von Guradze - underscored with the collection of the year once again its leadership in dry Rieslings. But other top producers such as Knipser and Rebholz also impressed with their excellent wines, like the rising stars Faubel and Philip Kuhn. Here is the Falstaff list in the journal 2/2010. DrinkLocalWine.com held its 2nd annual conference on April 24-26, 2010, in Loudoun County, Virginia, US. 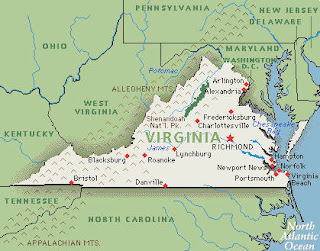 This year, the event focused on the wines from Virginia. The goal of DrinkLocalWine.com is to spotlight wine made in the 47 US States and Canada that are not California, Washington, and Oregon. It's the brainchild of Washington Post wine columnist Dave McIntyre and wine blogger Jeff Siegel, the Wine Curmudgeon. They feel that the mainstream wine media acts as if American wine is only made in California, Oregon and Washington State and that it is difficult for other wine regions to get coverage. DrinkLocalWine.com was created with a view of linking to blogs and other articles about wines from the other 47 states. Finally, Virginia sparkling wine from Claude Thibault was served at President Obama’s first state dinner a few months ago. While respectable sparkling wines have been made in Virginia in the past, sparkling wines have been taken to a new level in Virginia by the work of Claude Thibault, a native of Champagne. Thibault now consults for a number other Virginia wineries and produces his own sparkler, NV Thibault-Janisson, made from 100 percent Chardonnay, which President Obama offered his guests at the state dinner. See here. This was the 2nd DrinkLocalWine.com annual conference (DLW 2010). The 1st took place last year in Texas. DLW 2010 included three panel discussions; in addition there was a Twitter Taste-off, with a large number of Virginia wineries and some Maryland wineries participating. In attendance were bloggers, traditional print media writers, VA wine industry folks, consumers and other members of the wine trade. Moderator: Richard Leahy, Vineyard & Winery Management magazine. Panelists: Matthew Meyert, Williamsburg Winery; Jennifer McCloud, Chrysalis Vineyards; and Matthieu Finot, King Family Vineyards. One thing that is not well known in Europe is the struggle in America in the past centuries to find the appropriate grapes for winemaking. In the original charter of the thirteen colonies was a royal commission to pursue three luxury items that England was unable to provide for itself: wine, silk, and olive oil. Every colony made attempts to satisfy the requirements of its charter. Despite many years of failure, the early Americans persisted in their efforts. A big step forward was made in 1740 when a natural cross pollination occurred between a native American grape and a European vitis vinifera. Other successful crossings followed. Today, European vinifera grapes dominate wine production. 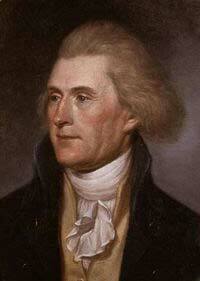 Picture: Thomas Jefferson, Third President of the US and father of Virginia wine. The views of the panelists varied. Matthew Meyert was pushing for Merlot and Chardonnay, which do very well in Virginia; Virignia can produce very nice Old World style vitis vinifera wines. 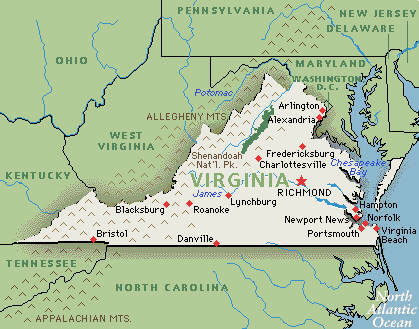 Jennifer Cloud, by contrast, took the position that Virginia cannot produce first class vitis vinifera wines. So, instead of producing the 400th best Merlot in the world, she rather produces the 1st best Norton in the world. Chrysalis has the largest Norton plantation in the world. Matthieu Finot, the French winemaker of King Family Vineyards sided with the first speaker. He has learnt in school that hybrids are not up to the vitis vinifera in terms of quality and his winery only produces vitis vinfera wines. All panelists panelists felt that Cabernet Sauvingon was not well suited for Virginia. The esoteric grapes that do best are Viogner, Albarino, Petit Menseng for whites; Petit Verdot, Malbec, and Tannat for reds. There was a general consensus that blending is a key component of making fine wine in Virginia. King Family Vineyards just won the prestigious Governor’s Cup award. See here. Moderator: Michael Wangbicker DWS, CWE. Panelists: Lenn Thompson, New York Cork Report; Jennifer Breaux Blosser, Breaux Vineyards; Jeff Siegel, the Wine Curmudgeon. A lot of talk about Facebook and Twitter. In particular Jennifer Breaux Blosser explained convincingly how she uses Facebook and Twitter to reach out to her customers. She also talked about a Skype tasting she did with the UK. Social media offers winemakers a direct way to link up with the consumer. Whether it is Twitter, Facebook, Blogging or Foursquare, Social media is there and it is gonna stay. Eventually print, social and other media will merge. 3. Panel: If local food, why not local wine? Lansdowne Resort; Andrew Stover, Chef Wino; Todd Kliman, Washingtonian magazine. What you see on wine lists in Washington DC in terms of local wines is pitiful. The restaurants are slow to pick up on the developments occurring at Virginia and Maryland wineries. Maybe one wine, or two at the most from the region. As an exception, Oya is a powerhouse of the drink local movement, with wines from Arizona, Illinois, and Idaho among many other states. Another recommendation was the Boulevard Woodgrill in Arlington, which has an all domestic wine menu. The fun part of the afternoon was a Twitter Taste-Off, where the participants could taste wines from about two dozens of wineries and then tweet their tasting notes via a live WiFi connection. (1) It was a traditional walk-around tasting with two dozens of winemakers from Virginia each presenting one red and one white wine; there were also some Maryland wineries. (2) People were tweeting while tasting with a #dlw10 hash tag and the tweets were shown on a large white board. (3) Ken Fabrik was walking around with a micro and interviewing consumers and wine makers and the interviews were was transmitted via loudspeakers. (4) I saw many people with flip cameras doing little videos. They appeared on wine blogs and facebook while we tasted and later. Picture: Dave McIntyre videotaping with his flip camera. Michael K. Trujillo, President and Director of Winemaking of Sequoia Grove from Napa Valley came to the East Coast and I had the opportunity to taste his wines at Evo Bistro in McLean. America has produced wine for over 300 years. The US is the fourth largest wine producing country in the world following France, Italy, and Spain. The US is the home of several native species of grape, such as the Vitis labrusca, but it was the introduction of the European Vitis vinifera that led to the growth of the American wine industry. Today, all 50 States make wine, although not all States grow their own fruit, with California, Washington State, Oregon, New York State and Virginia being the top wine producers. Nearly three-quarters the size of France, California accounts for nearly 90 percent of the American wine production. If California were a separate country, it would be the world's fourth-largest wine producer. The first wineries were established by the Franciscan missioneries in the South of California. The missionaries used the Mission grape from Latin America, which was a grape of very modest quality. The Gold Rush in the mid-19th century brought waves of new settlers to California, increasing the demand for wine. The wine industry moved to the northern parts of California and took hold in the Sonoma and Napa regions. The late 19th century saw the advent of the phylloxera epidemic which had already ravaged European vineyards. Fortunately the remedy of grafting resistant American rootstock was well known and the Californian wine industry was able to survive. At the turn of the 20th century, nearly 800 wineries existed in California and worldwide recognition seemed imminent, when Prohibition hit the industry in 1920. By the time that Prohibition was repealed in 1933 under President Franklin Roosevelt, only 140 wineries were still operating in California. Then came the post World War II wine boom.Wine became again a symbol of culture and status. By 1972, wine consumption was about 8 liters per person, which was three times the figure before Prohibition. Californian re-entered the international stage at the 1976 Judgment of Paris wine competition when Californian wines beat out French wines in both red and white wine categories. Today there are more than 1,200 wineries in the State, ranging from small boutique wineries to large corporations. In general, by German or French standards, American wineries are large. Napa Valley is widely considered to be the top wine region in America and one of the best in the world. By the end of the 19th century there were already more than 140 wineries in the area. Of those original wineries several still exist in the valley today including Charles Krug Winery, Chateau Montelena and Beringer. In 1965, Napa Valley icon Robert Mondavi broke away from his family's Charles Krug Estate to found his own. This was the first new large scale winery to be established in the valley since Prohibition. In addition to large scale wineries, Napa Valley's boutique wineries produce some of the world's best wines. Today Napa Valley features more than 300 wineries. Sequoia Grove is situated in one of the most highly valued parts of the Napa Valley. The winery’s famous neighbors include Opus One and Beaulieu Vineyard. Contemporary winemaking on this historic piece of land dates to 1980, when the winery was bonded. In 1978, Jim Allen bought the property and began planting Cabernet Sauvignon, Merlot, Cabernet Franc, Petite Verdot, and Chardonnay; he released his first wine in 1981. Allen has retired and the winery is now fully in the hands of Michael Trujillo, who had worked at his side practically since the beginning. Michael Trujillo now answers to the Kopf family of New York and Connecticut, who also own part of Domaine Carneros, the St. Francis Winery (Sonoma County), and Louis Jadot in Burgundy. Sequoia Grove produces around 35,000 cases of wine per year, with about 25,000 of those being Cabernet Sauvignon. Depending on the variety, fermentation is carried out in oak, stainless steel, or a combination of both. Total oak cooperage of 60,000 gallons is comprised of small and large French and some American oak (which is used only to age Cabernet Sauvignon). All wines are bottle-aged at least one year, with the estate reserve bottling held longer prior to release. Michael K. Trujillo first started his career in agriculture in the ranch country and farmland of Southern Colorado, where he grew up. In 1982 he took an entry level job with the winery he is now president of and rose steadily though the ranks until reaching the position as winemaker and then, beginning with the 2002 vintage, president as well. Tasting notes: pale, straw-colored appearance in the glass, the nose is delicate and steely, with notes of wet stone, honeysuckle, apricot, and almond, a full bodied wine, ripe pear flavors come through on the palate, which is light and fresh with a hint of marzipan and minerality that dominates the lingering finish, this Burgundian-style Chardonnay is an excellent example of a good balance of French restraint with California sunshine. Evo Bistro is both my down-the-road Wine Bar in Mclean, Virginia, and my favorite Restaurant and Bistro in the Washington DC area. It combines an unpretentious French-Mediterranean atmosphere with top wines from around the world, both the old and the new world, and French, Moroccan and Spanish tapas. The 17th annual Chardonnay du Monde® wine competition was held March 10-13, 2010 at Château des Ravatys in the Bourgogne, France. The best Chardonnays in the world come from the Bourgogne in France, but Chardonnay is grown wherever wine is made, from England to New Zealand. It is one of the most widely-planted grape varieties, with over 400,000 acres (175,000 hectares) worldwide, planted in more wine regions than any other grape. 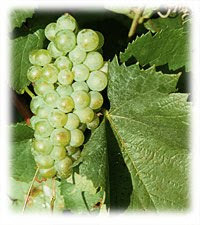 In its homeland, France, Chardonnay is the second most widely planted white grape variety just behind Ugni Blanc, which is used mainly for the production of Cognac and Armagnac. The grape first rose to prominence in the Chablis and Bourgogne regions. In Champagne, it is most often blended with Pinot Noir and Pinot Meunier. Champagne, Chablis and Burgundy account for more than three-fifths of all Chardonnay plantings in France. 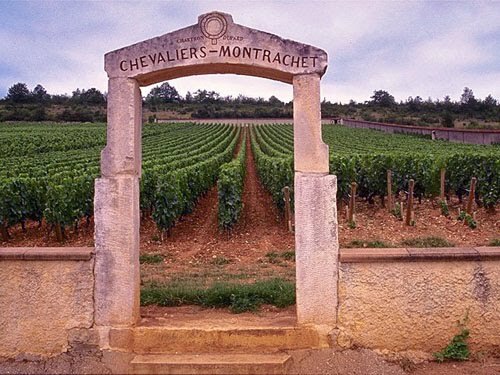 In the Bourgogne, Chardonnay is widely grown, including in 8 Grand Cru vineyards: The "Montrachets"-Montrachet, Criots-Bâtard-Montrachet, Bâtard-Montrachet, Chevalier-Montrachet, Bienvenues-Bâtard-Montrachet as well as Charlemagne, Corton-Charlemagne & Le Musigny. The Bourgogne Chardonnays were long considered the benchmark standard of expressing terroir through Chardonnay. In Chablis, Chardonnay is the only permitted AOC grape variety. Chablis winemakers want to emphasis the terroir of the calcareous soil and cooler climate that help maintain high acidity. The wines rarely will go through malolactic fermentation or be exposed to oak. The biting, green apple-like acidity is a trademark of Chablis. In North America, Chardonnay found another region where it could thrive. Following Chateau Montelena's victory over Burgundy Chardonnay in the famous 1976 Paris blind tasting, Californian winemakers rushed to increase plantings of Chardonnay. In the 1980s, the popularity of Californian Chardonnay would explode so much that the number of vines planted in the State eclipsed that of France. The early trend to imitate the Bourgogne wines soon gave way to more rich buttery and oaked styles. New oak barrels were used to produce wines that were big in body and mouthfeel, and high in alcohol. In recent years, Californian winemakers have been trying to make leaner Chardonnay, using less oak and processes such as reverse osmosis and spinning cones, to bring the alcohol levels down. In Australia, one of the first successful Chardonnays was produced by Murray Tyrrell in the Hunter Valley in 1971. The export driven Australian wine industry was well situated for the Chardonnay boom of the 1980s and 1990s. In recent years, there has been a shift in style from deep golden, oily wines to lighter, paler Chardonnays with more structure. Now being more famous for its Sauvignon Blanc production, Chardonnay was New Zealand's most widely planted grape variety until only a few years ago. In Europe, Chardonnay has a long history in Italy; but for a large part of it, the grape was commonly confused with Pinot Blanc. It is now planted a lot in the north of Italy. In Austria, the grape varieties known as Feinburgunder in Burgenland and Vienna and Morillon in Styria were not identified as Chardonnay until the 1980s. In Germany, Chardonnay was slow to gain a footing being only officially sanctioned since 1991. In Spain, Chardonnay has been increasingly used in the sparkling wine Cava. In Latin America, in the cool-climate wine regions of Argentina's Uco Valley and Chile's Casablanca, Chardonnay has started to develop a presence. In the 1990s, Chardonnay became the second most widely planted white grape variety in Argentina. In Chile, it has surpassed Sauvignon Blanc to be the most widely planted white wine grape. In conclusion, the area planted with Chardonnay throughout the world is estimates at around 160,000 hectares, with the US and France accounting for about half of it, and Australia, Italy and Modavia for another quarter. Chardonnay lends itself to almost any style of wine making from dry still wines, to sparkling wines, to sweet late harvest and even botrytized wines. The two winemaking decisions that most widely affect the end result of a Chardonnay wine is whether or not to use malolactic fermentation and the degree of oak influence used for the wine. First, with malolactic fermentation, the harder malic acid gets converted into the softer lactic acid, which creates the "buttery-ness" that is associated with some styles of Chardonnay. The wines that do not go though malolactic fermentation will have more green apple like flavors. Second, oak can be introduced during fermentation or after in the form of the barrel aging. Depending on the amount of charring that the oak was treated with, this can introduce a "toastiness" and flavors that many wine drinkers mistake as a characteristic of the grape itself. These flavors can include caramel, cream, smoke, spice, coconut, cinnamon, cloves and vanilla. Other important winemaking decisions include the temperature of fermentation and what time, if any, that the wine is allowed to spend aging on the lees. Burgundian winemaking tends to favor extended contact on the lees and even "stirring up" the lees within the wine while it is aging in the barrel. Colder fermentation temperatures produce more "tropical" fruit flavors. The time of harvesting is a crucial decision because the grape quickly begins to lose acidity as it ripens. For sparkling wine production, the grapes are harvested early and slightly unripe to maintain the acid levels. The 17th annual Chardonnay du Monde® wine competition was held March 10-13, 2010 at Château des Ravatys in the Bourgogne. 887 wines were submitted from 37 countries and judged by 300 international experts. After four days of judging, the panels awarded medals to 296 participants. France obtains four Gold Medals with two Champagne Premier Cru Blanc de Blancs (Champagne Colin and Champagne Paul Goerg). It is also distinguished through a "Vin de Pays" of the Loire valley (La Ragotière) and a "Vin de Pays d’Oc" wine (JM Bonfils). However, none of its signature Chardonnays from the Bourgogne or Chablis are among the winners. Probably, they were not submitted. Austria (Weingut Johann Schneeberger) takes first place with a dry still wine. Chardonnay is not a mainstream grape in Austria. Greece (Ktima Tselepos) takes the second place. Both are minor Chardonnay producing countries. The German winner (Winzergenossenschaft Auggen) is a botrytised noble-sweet Chardonnay from a wine co-operative. The flagships of German wines are the noble sweet Beerenauslese, Trockenbeerenauslese and Eiswein. There is nothing you can do to prevent these wines from becoming noble-sweet. They are made either from botrytised grapes (the first two) or grapes that were harvested during frost. More specifically, in the first case, the fog in the autumn mornings at German river banks produces a fungal infection, botrytis cineria (noble rot), which removes the water in the grapes and adds a unique flavor. In the second case, the frost late in the year removes the water in the grapes when the temperatures fall (but does not produce the botrytis taste). This jewel on the basis of a non-traditional grape does not have the acidity that you can expect from a Riesling Beerenauslese, but is most likely almost obscenely sweet. Canada made the list with an ice wine. In Germany, there is no guarantee for the vintners for the frost to come and to allow them to pick frozen, sugar-rich grapes to make the sweet and expensive elixir. So, it is always a risk to let the fruit hang and wait for the temperature to fall. In Canada, there is no such risk and this explains why Canada has become the leading producer of ice wine in the world. Spain (Albet i Noya Sat) and South Africa (Lourensford) complete the list of winners. No wine from California is on the list. I was able to join Jean and Francoise Lancon from Domaine de la Solitude, Chateauneuf-du-Pape, France, who poured their wines at Addy Bassin’s MacArthur Beverages in Washington DC. Chateauneuf-du-Pape is the one of the most famous wine regions in the world, situated in the southern Rhone Valley in France. Other great appellations in southern France include Côte-Rôtie and Hermitage, of the Northern Rhône. The New Castle of the Pope - In 1308, Pope Clement V, former Archbishop of Bordeaux, relocated the papacy from Italy to the city of Avignon, France. Seven Popes resided in Avignon before the papacy returned to Italy. A little town, not too far away from Avignon, where the Pope’s summer palace was constructed, was called Châteauneuf-du-Pape. Itis a cute little town, dominated by the towering ruins of the Papal summer palace. The town’s narrow streets of golden medieval houses, with their red tile roofs and pastel shutters, wind down into the vineyards. The wines grow on a soil that is a mixture of large quartz stones (galet roules) and sandy red clay. The galets roules reflect sunlight upon the vines, having a warming effect. A wind - the Mistral - whips up through the Rhone valley from the Mediterranean Sea and has a cooling effect, but the region is nonetheless quite warm and very dry. With more than 8,000 acres under vine, Châteauneuf-du-Pape is the largest appellation in the Rhône, producing mainly a red Châteauneuf-du-Pape. Today, there are 60 to 70 wine estates. Chateauneuf du Pape, was the first region to gain AC status in France (in 1923). Unlike its northern Rhône neighbors, Châteauneuf-du-Pape permits thirteen different varieties of grape; the blend is usually predominantly Grenache. In recent years, the trend has been to include fewer - or even none - of the allowed white varieties and rely heavily - or solely - upon the Grenache, Mourvedre, and Syrah. Although the French appellation system has its roots in Châteauneuf-du-Pape, the wines never achieved the prestige enjoyed by the wines of such regions as Burgundy and Bordeaux. That changed, when wine critic Robert M. Parker, Jr. fell in love with them. His influence pushed up their price considerably. While the French drink about two thirds of the Bordeaux they produce themselves, most of the Châteauneuf-du-Pape wines are exported, a large part to the US. Winemaking styles among the Chateauneuf-du-Pape wines range from easy-to-understand fruit-filled wines and to wines of greater intensity and gravitas, which can be powerful, full-bodied and concentrated. Grenache is one of the most widely planted red wine grape varieties in the world. It ripens late and thus needs hot, dry conditions such as those found in Spain and the south of France. It is generally spicy, berry-flavored and soft on the palate and tends to lack acid, tannin and color. It is usually blended with other varieties. Grenache is the dominant variety in most Southern Rhône wines, especially in Châteauneuf-du-Pape. Grenache is also used to make rosé wines in France and Spain, notably those of the Tavel district in the Côtes du Rhône. And the high sugar levels of Grenache have led to extensive use in fortified wines, including the Banyuls in Roussillon. This classic Domaine, owned by the Lancon family, dates back to 1535. The first member of the family came from Italy in 1264 to serve the Pope in Avignon. His name was Barberini - the name today of the special cuvees. Over the centuries, the Lancons had two Bishops and even one Pope in their family. The three hats on the label refer to this. The medal on the label refers to a medal that one family member received from Napoleon after the battle of Waterloo. The three bees on the label is a family weapon from the Middle Ages. Brothers Jean and Michel Lancon are in charge of the Domain, with Florent Lancon, son of Michel Lancon. It is a large, 38-hectares property. The regular cuvee of the Domaine de la Solitude is a very traditional Chateauneuf du Pape. The Barberini and Reserve Secrete are more modern-styled Chateauneuf du Pape wines. 8 hectares are planted with white varieties: 30% Roussanne, 50% Grenache Blanc, 15% Clairette and 5% Bourboulenc. 30 hectores are planeted with red varities: 60% Grenache, 15% Syrah, 10% Mourvedre, 5% Cinsault and 10% other. Tasting Notes: A convincing Rose as I know them from the South of France, bursting with citrus, cranberry, and spice notes, a very well made summer quaffer. Tasting Notes: A delicious, attractive, elegant, deep, berry fruit-filled Cotes du Rhone, with a velvety texture as well as wonderful length for a wine of this pedigree. Blend of 55% Grenache, 30% Syrah, and 15% Mourvedre, aged 80% in tank and 20% in small barrels. The 2007 is the finest traditional Chateauneuf since the glorious 1967. Tasting Notes: Dense ruby/purple color in the glass, sensational perfume of kirsch, cassis liqueur, plums, roasted herbs, and meat juices, a full-bodied, huge, rich, massive wine, it will benefit from 2-3 years of cellaring. 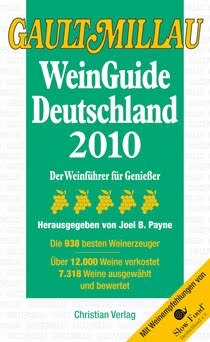 The Gault Millau Wine Guide Germany includes the 938 top winemakers of Germany. To put the Gault Millau selection of the top 938 winemakers of Germany into perspective, the German wine industry consists of many small wine producers, totaling about 70.000. If you exclude the about 40.000 operators of less than 0.5 hectares, who should probably be classified as hobby winemakers, you are down to 30.000 winemakers. Then, it gets a bit complicated. Many smaller winemakers do not pursue wine making as a full-time occupation, but rather as a supplement to other agriculture or to hospitality. It is not uncommon that a small family-owned tavern has its own wine. If we move up to a minimum of 5 hectares, we get down to about 6.000 wineries, accounting for about 60 percent of Germany's total vineyard surface, and it is in this category that the full-time winemakers are primarily found. 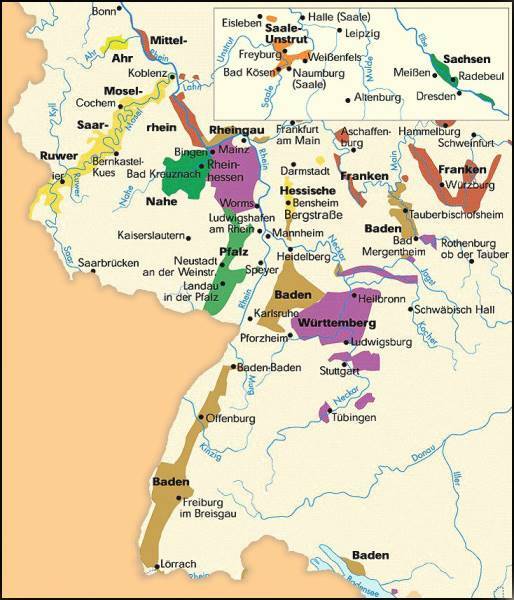 However, truly large wineries, in terms of their own vineyard holdings, are rare in Germany. Hardly any German wineries reach the size of New World wine making companies. The Gault Millau uses a scale of 1 to 5 Grapes. Here are those winemakers that got in the 2010 Gault Millau Wine Guide the maximum number of 5 Grapes, grouped by wine region. This is a small group of 9 winemakers. Below, we have indicated the size of the wine estate, in terms of hectares, and the ranking in the 2010 Feinschmecker Wine Guide. 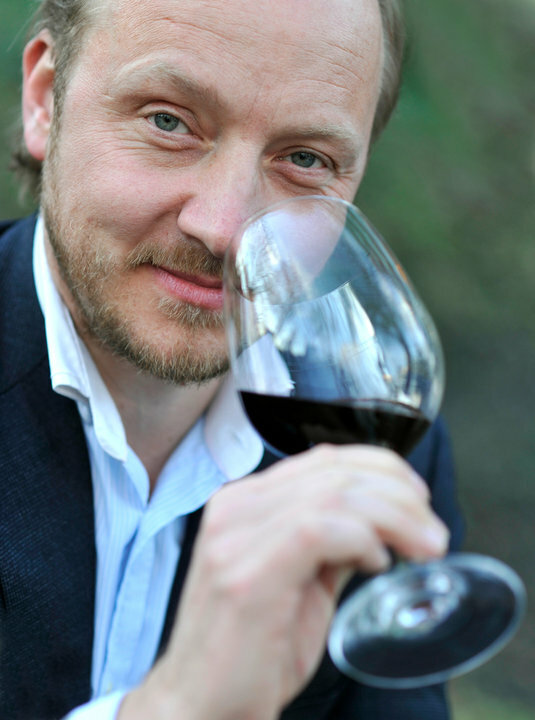 One of winemakers leading the German red wine revolution. He also produces outstanding white wines. Does not have any sweet or noble-sweet wines in his portfolio. Fritz’s son Oliver Haag is producing world class wines in the dry, sweet and noble-sweet categories. Egon Mueller’s sweet and noble sweet low alcohol wines are a legend. For decades now, one of the really exceptional winemakers in Germany. A leading producer of Riesling wines, including noble-sweet wines. A Grand Seigneur of German wine. Gault Millau winemaker of the year 2006. Only white wines, mainly Riesling. Outstanding Grosses Gewaechs wines. A broad wine portfolio with international grapes, including Chardonnay and 25% Spaetburgunder. A winery with a long tradition, now owned by Wilhelm Weil and the Japanese Suntory company. A top producer of Riesling wines, which is well presented in the major wine markets in the world. With Wittmann, leader of the Rheinhessen renaissance. Has a broad wine portfolio with 60 % accounted for by Riesling and also including the lesser known autochthon Silvaner as well as Spaetburgunder. In the next group – 4 Grapes – there are about 50 Estates. Dr. Loosen is now in this group, after he lost one Grape in 2010. Two Estates were downgraded to 4 Grapes, Dr. Loosen and Reinhold Haart, both in the Mosel valley, and 2 Estates were upgraded to 4 Grapes, Freiherr von Gleichenstein in Baden and Clemens Busch in the Mosel valley. I joined Tim and Kelly Hightower, the winemakers at Hightower Cellars, as they poured their Hightower Pepper Bridge Red 2008 at Calvert and Woodley in Washington DC. The Hightower Cellars is a small winery, about 210 miles from Seattle in the Red Mountain area of Washington State. In 1980, four years after Californian wines had out shined the French wines at the famous tasting in Paris, there were about 20 wineries in Washington State that were producing high-quality wines with European vinifera grapes. Today, there are more that 650 wineries. Valued at about $3 billion annually, Washington's wine industry ranks second behind California, which, however, has more than 10-times the acreage and four-times the number of wineries. 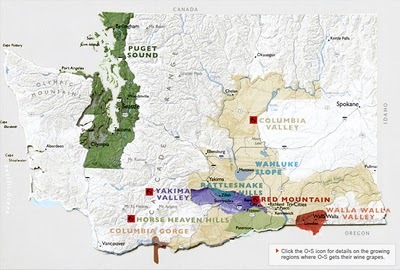 Few Washington wineries are widely recognized by average consumers outside the region. More than half of the wine produced in Washington comes from wineries owned by Chateau Ste. Michelle. In 1996, Tim was introduced to co-worker Kelly Coughlin. Their infatuation for each other and wine was mutual, and this led to the idea to start their own winery a year later. Since its inception, Tim and Kelly have shared all of the responsibilities of Hightower Cellars, which include those as a winemaker, accountant, marketer, forklift-operator and janitor. They started out by renting warehouse space and establishing their winery there, while keeping their day jobs and buying grapes. Their inaugural release was a1997 Cabernet Sauvignon. In 2002, the Hightowers moved their home and winery operations to Benton City - home of the Red Mountain appellation - after purchasing 15 acres of prime, undeveloped vineyard land. Since their inaugural 1997 vintage, the Hightowers have been sourcing fruit from Red Mountain. Red Mountain became an appellation in 2001 and is also one of North America's smallest appellations. In 2004, the Hightowers began planting 10 acres primarily with Cabernet Sauvignon and Merlot, with smaller portions of Cabernet Franc, Petit Verdot and Malbec, leaving the remaining 3 acres for their home and retrofitted winery. Hightower Cellars continues to source grapes from the Horse Heaven Hills and Walla Walla Valley appellations even as their own vineyard begins providing estate fruit. The Seattle Wine Blog has just released its fourth unofficial ranking of the top Washington State Wineries, following the example of the Bordeaux Classification of 1855 with 5 groupings. In the top grouping - First Growth – you find three wineries (Cayuse, Leonetti, Quilceda Creek); in the second grouping – Second Growth - there are 8 wineries (Andrew Will, Betz, Cadence, DeLille, Januik, Long Shadow, Pepper Bridge); in the third grouping – Third Growth – you find Hightowera with about twenty other wineries. The Fourth and Fifth Growth groupings contain another 70 wineries. See here. Pepper Bridge is one of the most famous vineyards in Washington State, located in the Walla Walla Valley Appellation. Trained on the Scott Henry and Smart-Dyson trellising systems, the vineyard uses revolutionary technology for its weather-tracking and irrigation systems. Pepper Bridge is made up of Walla Walla Silt Loam - wind-blown glacial Loess with about 1/3 sand content. This vineyard produces grapes with bright cherry flavors and contributes voluptuous nuances to the Hightower Merlot. The grapes for this wine were handpicked and handsorted. The fruit was fermented in small open-top containers no taller than they are wide to extract greater flavor and color by having more juice in contact with the grape skins. After gently pressing the wine from the skins the wine aged in small oak barrels for twenty months. During barrel aging the wine was gravity racked off its lees with a siphon. Separate lots were blended and bottled in the summer of 2008. 196 cases. Tasting notes: Ruby-red in the glass, the nose evokes fig and smoked cherries with an overlay of minerality, a smooth palate with a burst of bright fruit on the finish, a wine combining Bourgogne finesse and American lushness. This is the second part of a two-parts interview with Hendrik Thoma, which was conducted via Skype in early April 2010. The first part was published on Schiller Wine on April 12 2010. See here. Following the text of the interview, there is a post scriptum: A link to a youtube video with Hendrik Thoma and Katharina Pruem and Ernst Loosen on the planned High Mosel Bridge. CS: Let’s move to America. The American wine industry has exploded in the last 50 years, after the famous 1976 tasting. America is the leader of the New World Wine Group and Napa Valley it’s geographical center. When I am in Germany, however, I often hear very critical voices with regard to New World Wines. What would you tell these voices in Germany and what would you say to the producers and exporters in America? HT: A couple of things. First, America is a big wine producer but not a big exporter. In addition, they export a lot of cheaper wines, which you find in Germany in the supermarket and on discount shop shelves. When I first came to the US, German wines were perceived in the US like American wines here today: easy to drink and fruity. Of course, there are also the high-end wines from Napa Valley and elsewhere. These are highly appreciated by the German wine connoisseurs, but I have to say that the so-called garage wines are viewed with some skepticism. Then there is the issue of plastic wines. When two years ago American wines having been subjected to the spinning cone and other sophisticated processes were allowed to be imported into the EU, there was an outcry in the European press. There is a lot of prejudice here in Europe which I think is absolutely wrong. I get mad when people say that wines from the New World are plastic wines and European wines are superior. After Americans started exporting wines with the cone spinning, countries like Italy, France and Spain, who are far bigger producers, also started to make wines with cone spinning. Also, for Americans, wine is just a beverage. Here in Germany, people want to know the vineyard and the winemaker, and develop a relationship with the wine. People think just because you see the vineyard and have a relationship, it’s a better wine. In my opinion it’s not. So I think this prejudice against American and New World Wines is such a crap thing, because in America you have great producers that make really nice wines. The only thing that you could say is that New World wine has a little bit more fruit due to the climate. If you like something jammy and thick, go for Napa Valley. If you want to have something elegant and fine, go for Mosel valley. The wine world has become global. Germans need to open up and realize that there is good stuff from everywhere. CS: Germany has introduced the concept of Grosses Gewaechs wines, which are bone-dry wines in the French grand cru tradition. One of them, from Weingut Wittmann, made it to the Top 100 Wine Spectator List. How do you see the future of these wines on the world market? HT: This is an interesting issue. If you look at the first German Grosses Gewaechs wines you notice that they were not made for consumption. They were made to show off, they were big wines meant to impress people. Frankly, my feeling is that many of the German winemakers prefer lighter and more elegant wines. Grosses Gewaechs wines are sometimes just very big, very fat, too alcoholic. I know I could get beaten up in Germany for saying this. It does certainly not apply to all the winemakers, but there is a tendency. Another problem with Grosses Gewaechs wines is that they do not all deserve the label. Like Burgundy, where you have the Grand Crus: If you don’t look at the producer you make a big mistake. A great vineyard doesn’t necessarily generate a great wine. It is the same here in Germany. Some of the Grosse Gewaechs wines are in my view not really first growth wines. CS: The Austrians have brought the Guener Veltliner to the US and the Americans love it. These are easy drinking table wines. Could the Germans repeat this with for example the Silvaner grape? HT: Silvaner is nice because it can be very dry, yet very steely and also has a good creaminess. But it would probably be the wrong grape variety because it’s just too small here. 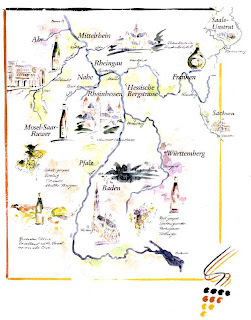 There are only 2000 hectares in Rheinhessen and 1300 hectares in Franconia, the two regions that have a meaningful production of Silvaner. I would instead suggest Pinot Grigio (or Pinot Gris or Grauburgunder). The Pinot Grigio from Germany can be beautiful. We have a good climate for it and it is less creamy and not as thick as that from Alsace. CS: To conclude on German wine, let us talk about the German flagship wines, the noble-sweet wines. Tell us a bit about these extraordinary wines, such as the famous German Eiswein. HT: Well it’s another interesting story. I think noble sweet wines are our real show wines. These are wines that you don’t drink too often. There is a very small market for them, but I think it’s very important for Germany to produce these wines because the German style of noble-sweet Rieslings - combining the sugars, acidity and freshness - is difficult to find anywhere else in the world. CS: The Wall Street Journal just published an article about the wine industry in China. What role do you see for German wine in China and Chinese wine on the global wine market? HT: I think the whole world is waiting for China to pick up on wine. We know there are parts of China with a great wine culture, especially Hong Kong and, increasingly, Shanghai. If you talk to people about China, everybody is very excited, but I am not sure if people know how that market works. Probably you need to invest a lot of time and money. India is another interesting wine market. China is very much a market that is driven by premium brands, which makes sense to me. People first rely on the brand and then take a second or third look, but at the moment we are still in the brands phase. The next stage can take a couple of years and then people look for smaller producers. With regard to Chinese wines, I have already tasted some Chinese wines and what I had in the glass at these tastings was not bad. India is another very interesting market. And India is closer to Europe in terms of culture due to the British influence. CS: I know you were in Argentina a few months ago. Tell us a bit about your impressions from this trip. HT: Wine from Argentina has freshness and elegance. These are big wines, for which there is a demand in the United States. They go well with steak. So I think these wines with their mountain climate have good tannins and are not oversaturated. Again coming to price, Argentinian wine is great if you look at what you can get for the money. The wines of Chile, which were also quite big in the US, seem to be a little heavier, a little sweeter. Argentine wines seem to be fresher, lighter, a little more European. But the Argentine wine industry is very much depending now on the US, which is very dangerous. CS: Thank you very much, Hendrik. Hendrik asked me to post a video with Ernst Loosen and Katharina Pruem here. It was recorded on April 10, 2010 in Berlin, in the context of an effort to stop the construction of a huge bridge over the Mosel valley. Others who came to Berlin included Hugh Johnson and Jancis Robinson from the UK, ex foreign minister Joschka Fischer and English-born, Berlin-resident, leading wine writer Stuart Pigott. See the video here. I co-signed the petition: Sie haben erfolgreich die Petition Bundesstraßen - Baustopp für den so genannten Hochmoselübergang mitgezeichnet. Ihre Stimme wurde vom System unter der Mitzeichnungsnummer 1377 erfasst. Hendrik asks you to do the same. This is an unusual wine, made in an age-old Austrian tradition. It is a Gemischter Satz, which is made from a blend of grapes that are grown together in the field, and then picked and fermented at the same time. Not too long ago, this age-old Austrian tradition was about to die, threatened by the mania for "single varietal" bottling. But luckily, the tradition was maintained, the grapes remained planted in mixed vineyards of Gruener Veltliner, Riesling, Muscat, Ottonel, and other grapes. Typically, Gemischter Satz wines do not specify the grapes within. Field blends are different from more typical blended wines – cuvees - like Bordeaux, where the various grapes are grown separately and vinified separately. Many famous wines are blended wines. Red Bordeaux is generally made from a blend of grapes. As a very broad generalization, Cabernet Sauvignon dominates the blend in red wines produced in left bank of the Gironde estuary. Typical blends are 70% Cabernet Sauvignon, 15% Cabernet Franc and15% Merlot. Merlot dominate in Saint Emilion, Pomerol and the other right bank appellations. These blends are typically 70% Merlot, 15% Cabernet Franc & 15% Cabernet Sauvignon. Another Cuvee is Edelzwicker, which I discussed in my “in the glass" column on my Blog on November 5, 2009. See below. 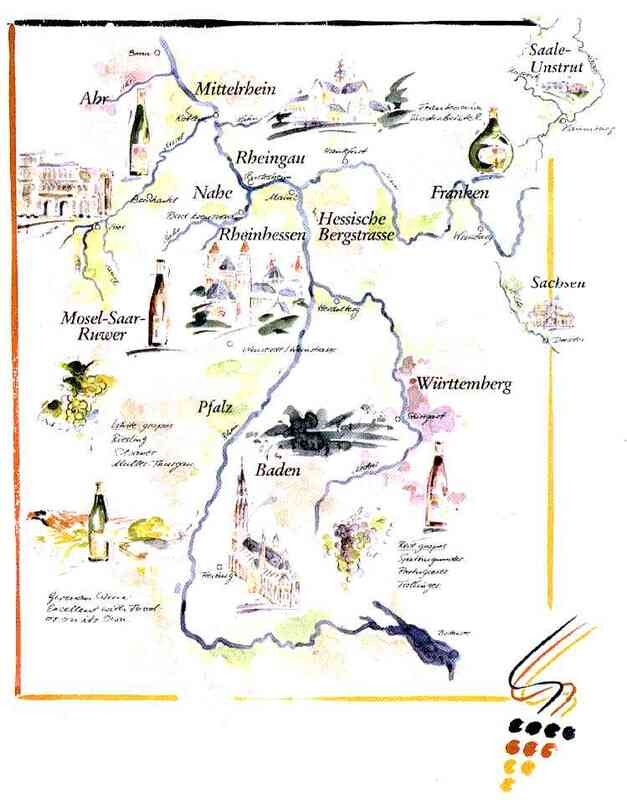 In the past, blending was the norm in Alsace, and these blends were called "zwicker". Edelzwicker (noble-blend) is a "zwicker" made only from grapes considered to be noble. In Germany, there is a wine called ‘Schiller” that is produced by blending red and white grapes before fermentation. It looks like a Rose, but it is not, at least not in the French tradition. You can find Schiller only in the region of Württemberg in the south of Germany. The wine got its name from the verb “schillern”. The verb “schillern” means “to scintillate”. “Schiller” is thus a wine with a scintillating color, reflecting the fact that the wine is a blend of red and white grapes. In the past, Schiller used to be a Gemischter Satz wine, but to my knowledge nobody does it any more. Today, Schiller is a blend, but not a field blend. See my posting of August 12, 2009 below. Is Gemischter Satz Wine the True Terroir Wine? Some people argue that Gemischter Satz is the true terroir wine. They say that winemakers can resort today to all sorts of tricks if the wine does not come out the way they want it. They can add acid if necessary, or tannins, or color, compensating in the wine cellar for what they did not get from nature in the vineyard. In the old days before the advanced techniques of today became available, they had to think ahead about what their vineyard give them. One could say that in the way they planted the vineyard you could see their vision of what would make the most complete wine. I typically drink the Austrian Gemischter Satz wines only when I am in Grinzing, Vienna, Austria. There, you typically drink the Heurigen wine, the wine of the current year, in one of the many wine taverns and these are typically Gemischter Satz wines. That any wine comes from Vienna seems absurd on the face of it. Great urban centers are not known for their vineyards, beyond a novelty acre here and there. But Vienna is different. Around 1,700 acres of vines are planted within the city limits. Of the great metropolises in wine-growing countries, Vienna alone has its own appellation. Viennese viticulture stretches back centuries if not millenniums to early Celtic and Roman settlements. Most of the production is destined for Vienna itself. Light yellow in the glass, notes of petrole and green unripe apple on the nose, very refreshing, sour, high in acidity without the sugar to neutralize it, comes across very watery when you first drink it, but develops nicely on the palate, good party wine.